This year, one of my closest friends decided to turn vegan. She was brought up to be a vegetarian by her mother and at the age of 14 she decided to try meat for the first time and for a while she enjoyed it. 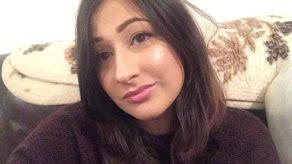 Now at the age of 19, she made to change to go fully vegan - the complete opposite of what she was for the past five years. I am personally not a vegan, but I think what she did and what she is doing is amazing. Its definitely changed my outlook on life and has made me think a lot more about what I eat and what I buy. 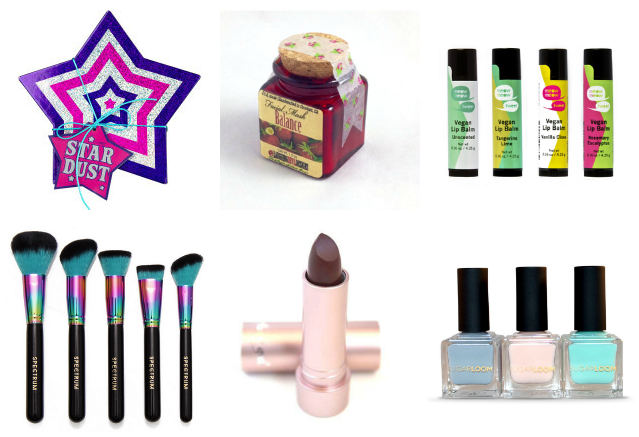 But buying gifts for the vegan in your life can sometimes be difficult, especially if they're a fan of makeup. Usually, a lot of brands don't make it obvious that they are vegan friendly or even cruelty-free. So I've picked my top beauty gifts for the vegan people you know. First on my list is Lush. You thought I'd be creative and not choose Lush products? You were damn wrong I'm afraid. Lush is known for fighting against animal testing and being vegetarian friendly, but this set is 100% vegan friendly instead and contains their 6 best-selling Christmas products - 'The Comforter Bubble Bar', 'Star Dust Bath Bomb', 'Shoot For The Stars Bath Bomb', 'Rock Star Soap', 'Snow Fairy Shower Gel' and 'Candy Mountain Bubble Bar'. You can buy the set here. Second on the list is this lovely face mask mix from Laughing Devil Designs. They currently have an Etsy shop and three shops in America. The packaging on all their products is so pretty and everything is handcrafted. The face masks are being discontinued so you'll have to snap this up quick! You can buy the face mask here. Next I found some very cute vegan friendly lip balms, which are perfect for the cold weather. Currently you can get four different lip balms - 'Unscented', 'Vanilla Clove', 'Tangerine Lime' and 'Rosemary Eucalyptus'. There is also the option to buy all four as a set. You can buy the lip balms from here. Fourth on my vegan picks was the gorgeous Spectrum Collections make up brushes. I have been dying to get my hands on any Spectrum Brushes as they are all so divine. Just look at those colours! These brushes are so hard to get hold of as they go out of stock almost immediately when they're added back on to the website, so you''ll have to watch these closely if you want a set. You can buy the brushes here. Also on the list is the wonderful lipstick I found from Fairy Girl Cosmetics. 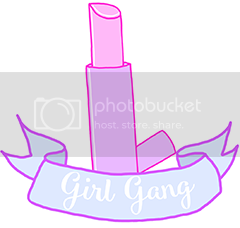 They currently only make lipsticks and I don't know much about the company so I can't say if they'll eventually branch out to other products or lipstick is their thing. I do know that all their colours are lovely and I want them all. You can get this lipstick from here. You can buy the varnishes from here. What are your thoughts on being vegan? Are you newly converted or have you been cruelty free for a long time? Tell me in the comments, I'd love a good discussion about it!